Little-known ship. Difficult to track due to a unique hull design that renders it invisible to long-range scans. 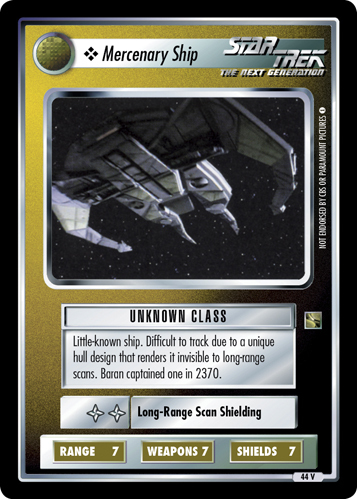 Baran captained one in 2370.